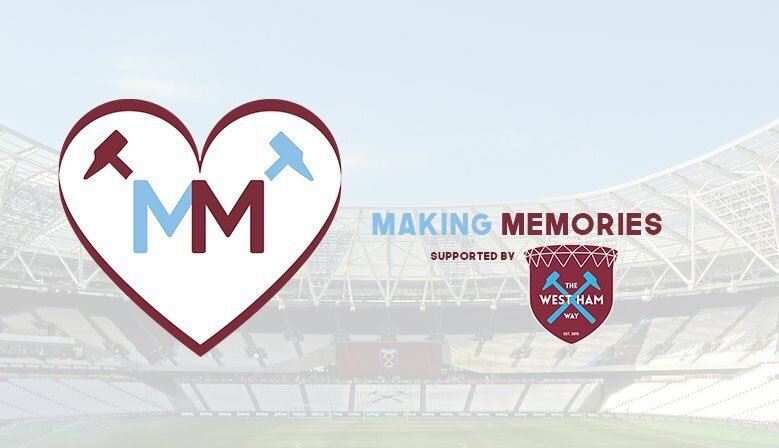 Introducing Making Memories- a UK based Initiative for the West Ham Fan Community; Our mission is to give children and their families who may be in need of a break, a chance to enjoy new, fun and exciting experiences, making a happy memory during an otherwise difficult time. Making Memories would like to introduce you to our first young Hammer Hugo, whose story is one of the inspirations behind us setting up the fund, touched the hearts of all us at the Hammers Chat – Making Memories Team and we are positive he will capture yours too; It was unfortunately discovered shortly after Hugo’s birth in March 2017 that he had been born profoundly deaf in his right ear and moderate to severely deaf in his left ear. As you can imagine, this was a complete shock to the family as no member had previously had any known hearing impediment or difficulty. At just 13 weeks old, Hugo was then fitted with a hearing aid and continued frequent testing for more specific answers however, as time went on, his parents started to discover that his hearing aids were not working for him in the way they should have been. It was then suggested and confirmed that Hugo may be eligible for Cochlear Implant surgery which of course was a further blow for the family, having to face the idea of baby Hugo being put through major surgery. Hugo had to have the Operation before he became 18 months old to be on par with his peers in terms of speech and development. Doctors also found in his blood tests, that he had a Connexin 26 recessive gene which causes the hair in the cochlear ear to either not grow or is too short to work effectively and pick up sound vibration, therefore causing deafness or a hearing impediment. After surgery, it took 4 weeks for not only Hugo to heal but to also finally find out if the operation was a success. After much anticipation, when the Doctors were at last able to switch on the device, to everyone’s joy and relief it was soon apparent that Hugo was responding to sounds and the operation had worked. Hugo is currently working on his speech development and language skills and despite having this little hurdle in comparison to other children of his age, he is showing very promising signs that he will soon have caught up and be at an equal level, academically, with them. Hugo has proved that despite being born with an impediment, it doesn’t have to be limiting nor a life-sentence and with the right treatment, children can overcome the disadvantages of hearing loss.